20 play at once - and our Game Coach runs the fun! 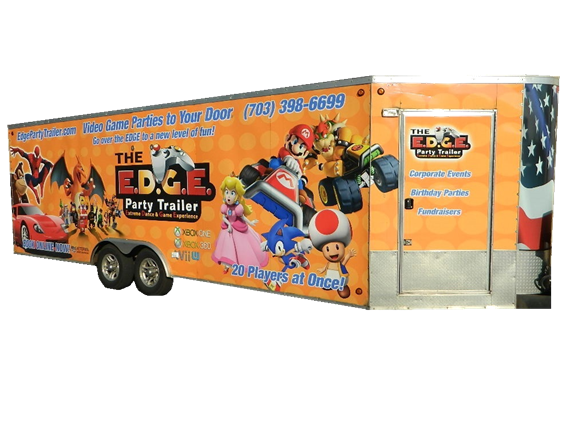 Our video game truck and trailer comes right to you for the best birthday party idea in Washington D.C., Maryland and Virginia! 20 can play at once with the very best video games and consoles. The E.D.G.E. Party Trailer is your entertainment provider for company picnics, employee appreciation events, family reunions, block parties and more! We entertain a crowd! We’ve got the best value in school function entertainment in Washington D.C., Maryland and Virginia! Our video game truck is the perfect draw for lock-in events, graduation and after prom and so much more! Don't let your date & time get booked! We bring the Video Game Party to you! We've got the ultimate mobile birthday party idea in DC, Maryland & Virginia! We make the best party in DC, Maryland and Virginia AFFORDABLE & FUN! Add our outdoor dance station & other fun add-ons when booking! The E.D.G.E. Party Trailer brings you the premier mobile video game truck party in DC, Maryland and Virginia ! 20 can play at once, with the best assortment of video games and consoles, and a Game Coach that runs the fun while you relax! The E.D.G.E. Party Trailer makes it Amazing! From Mario Kart to Minecraft, we’ve got the video games everybody loves! 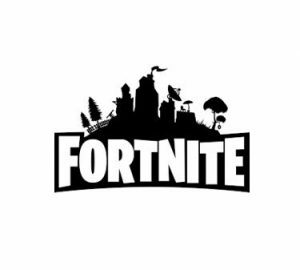 Fortnite Battle Royale, Madden Football, FIFA Soccer and other top sports games, role playing, combat games like Call of Duty and so much more! 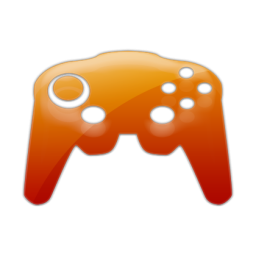 Our HUGE selection of video games is made better by our selection of the top gaming consoles available! We’ve got the XBox One, XBox 360, Nintendo Switch, and Wii U game systems, with plenty of wireless controllers for all your guests! The E.D.G.E. 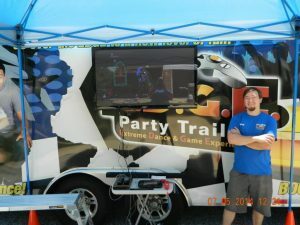 Party Trailer brings online gaming to our video game parties in Washington D.C., Maryland & Virginia! Have a Fortnite Party! Online Gaming requires customer’s high-speed internet access with modem/router within 300′ of our video game truck location. The E.D.G.E. Party Trailer offers FREE birthday invitations and special gift for birthday honorees, but we also offer LED party favors, add-on yard games like Corn Hole and Jenga, Tug-Of-War, and even extra outdoor gaming station for dance & action games! It's time to reserve your event now!